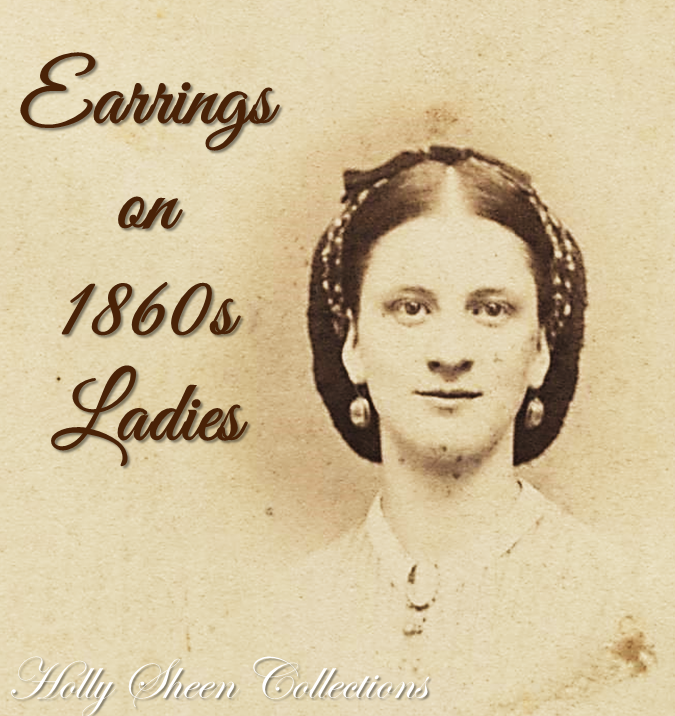 Southern Serendipity: 1860s Ladies Wore Earrings! 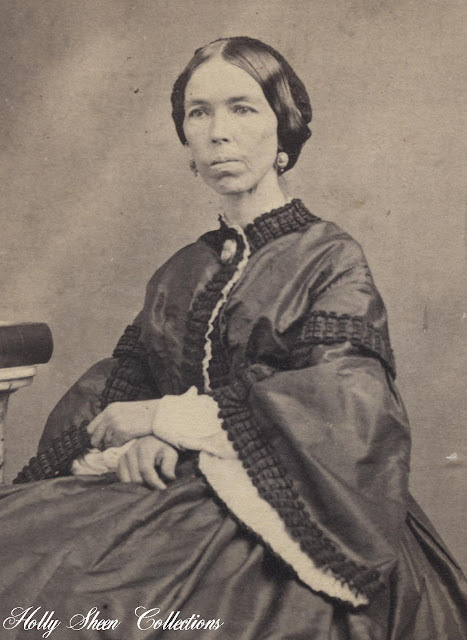 Not every woman of the 1860s wore earrings, of course. But with hairstyles generally showing the earlobes once again, earrings returned to popularity. Earrings varied in size from petite little dangles to larger ‘drop’ earrings. Photographs, paintings, and fashion magazines of the era all featured earrings on ladies. 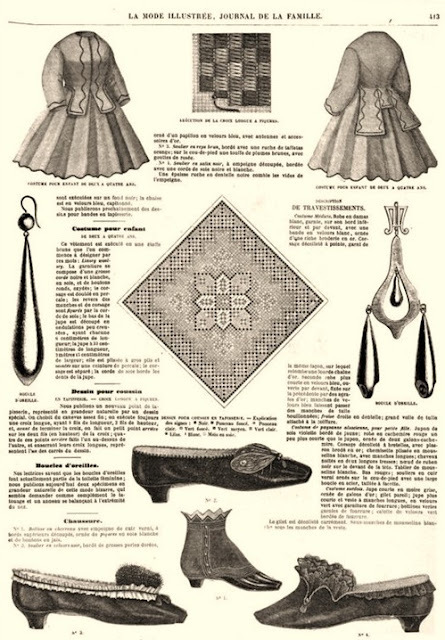 Below is a page from Le Mode Illustree, a popular fashion periodical from the era. Notice there are two earring designs feature on it. 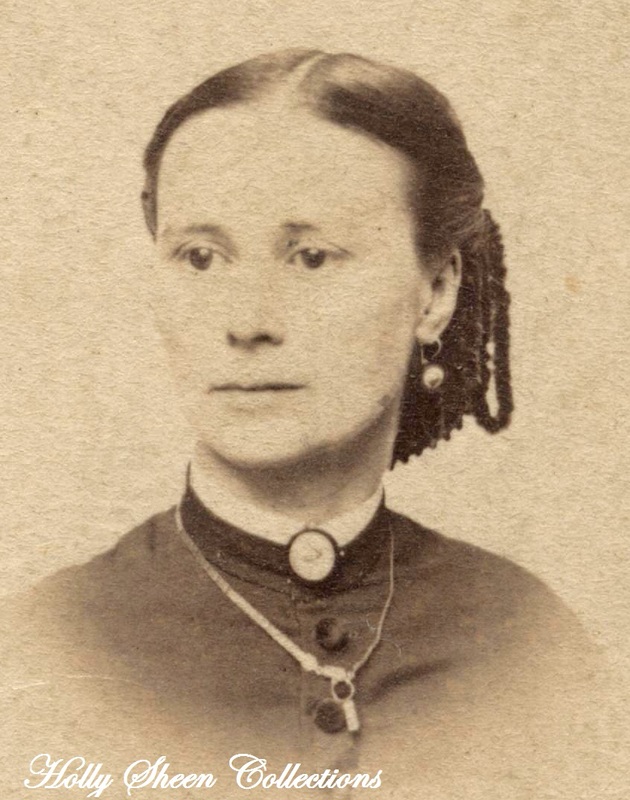 The date is December 25, 1864. By the mid-1860s, the industrial revolution had been underway for quite some time. This opened up many new techniques and materials used for jewelry. Faux jewels had been in use for centuries, but now cheaper metals had been developed also. Ladies of the middling classes, not just the wealthy, could now afford to wear jewelry. Also, just like now, a wide range of ages wore earrings. 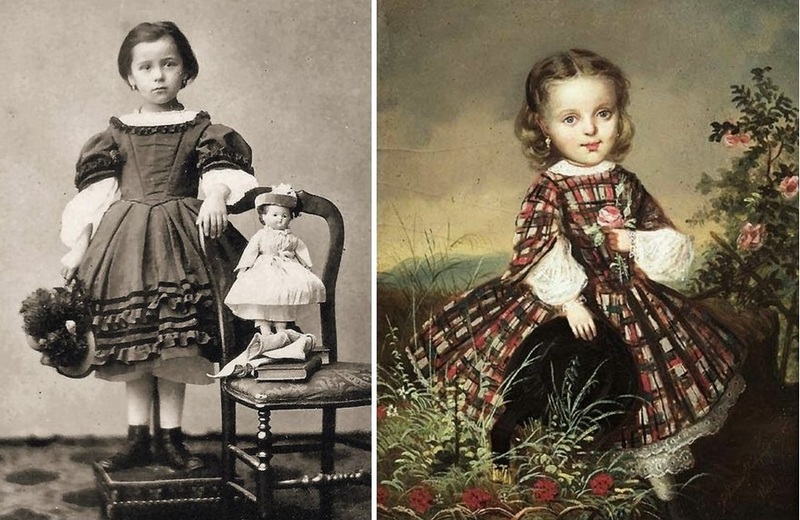 Photographs and paintings show young girls, middle-aged ladies, and older ladies all wearing earrings. 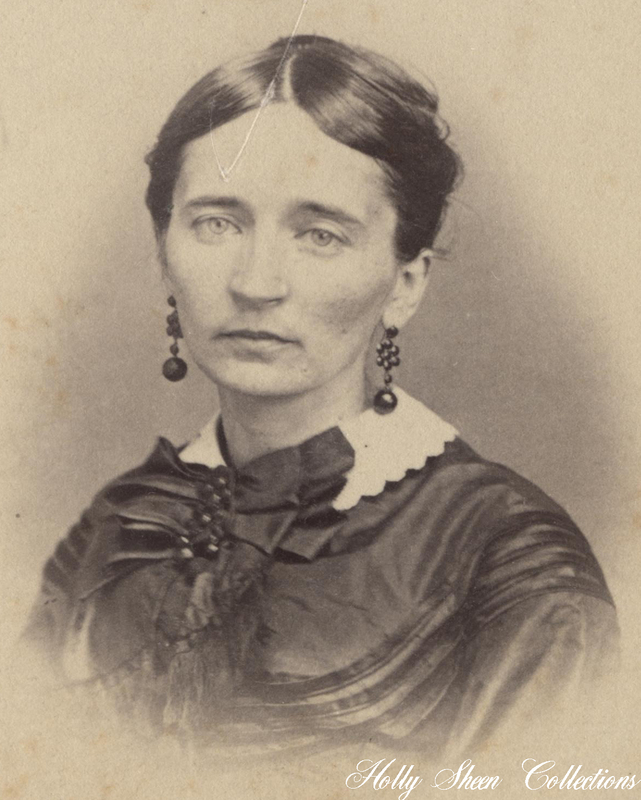 In the 1860s, ears were pierced for earrings. Sources differ as to exactly when, but screwback, clip-on, and post earrings were not invented until decades later. Earring backs were usually simple 'shepherds hooks' and some also had a latch for the hook. 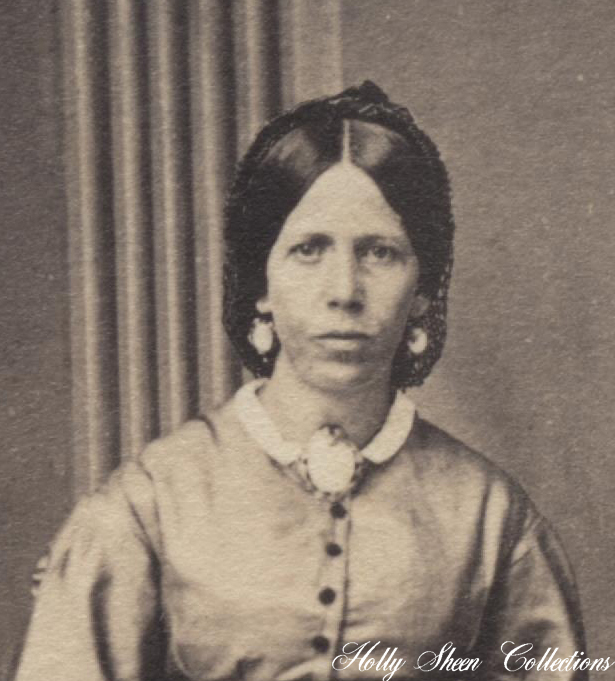 Don't you love this lady's massive earrings? They appear to be cameos, likely coordinating with her brooch. 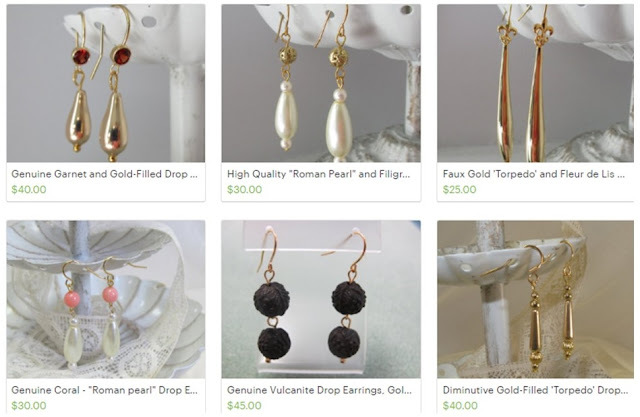 I enjoy creating earrings using some of the materials and motifs that were popular in the 1860s. Here's a peek at a few of the items I currently have listed.